PennsylvAsia: IUP Asian Studies Club Film Festival starts March 6. IUP Asian Studies Club Film Festival starts March 6. 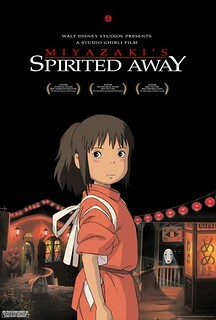 When released, Spirited Away became the most successful film in Japanese history, grossing over $274 million worldwide. The film overtook Titanic (at the time the top grossing film worldwide) in the Japanese box office to become the highest-grossing film in Japanese history with a $229,607,878 total. Acclaimed by international critics, the film is often considered one of the greatest animated films of all-time [and it won the Academy Award for Best Animated Feature at the 75th Academy Awards, the Golden Bear at the 2002 Berlin International Film Festival (tied with Bloody Sunday) and is among the top ten in the BFI list of the 50 films you should see by the age of 14. 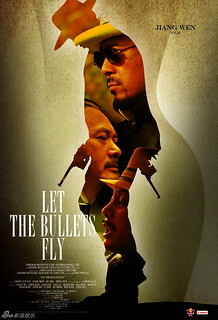 Other films include the Chinese action comedy film set in the 20s Let the Bullets Fly (让子弹飞) and the Korean historical drama Hwang Jin Yi (황진이). The movies will be shown in room 233 Keith Hall (campus map) at 7:00 pm, and all are free and open to the public. As I wrote three weeks ago about the Foreign Film and Music Festival running now, IUP puts on good foreign film series. The best I've seen in western PA was a Korean film festival nearly a decade ago.